And so was the fun! 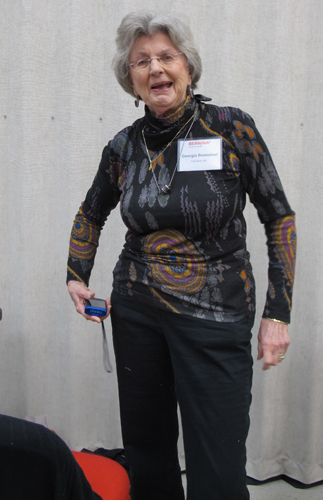 The BERNINA Ambassadors descended on the BERNINA Creative Center for a long-awaited reunion last week. Even though the outside temperature in Aurora, IL was in single digits, the inside atmosphere was warm and inviting. The Ambassadors were treated like well, ambassadors! We enjoyed using powerful sewing machines, drooled over stunning samples, stitched with gorgeous threads and tried on really cool shoes, oh, I mean feet! It was an inspiring two and half days that absolutely flew by! 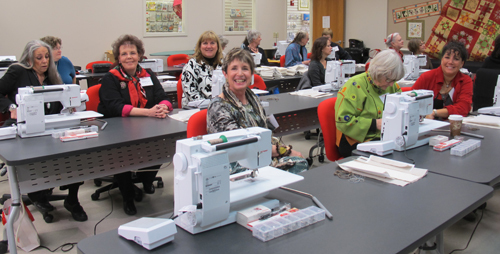 The attendee list is so impressive, it was a bit intimidating until we got behind the sewing machine. From then on, we’re students instead of teachers and had a great time doing what we love, creating with fiber. 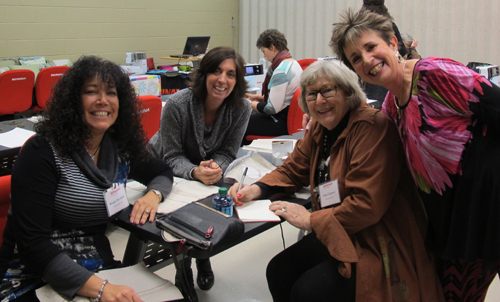 For more on the BERNINA Ambassador Reunion, visit Designs in Machine Embroidery by clicking HERE.